Bentley and Mulliner Park Ward referred to this car as Project 116. 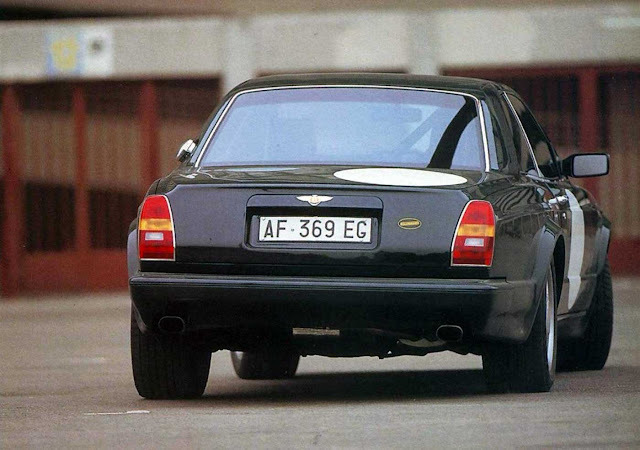 It is a light weight racing version of the Bentley Continental R.
The car was commissioned by Carlo Talamo of Milan. He loved motorcycles and loved the challenges. When the Harley Davidson brand was failing in Italy he turned it into a commercial phenomenon, then devoted his attention to the Triumph brand. You can read more about this car here and even see another special based on the same design here. But here it is next to a get fighter! This car has turned aluminiun trim, quilted leather, a roll cage (! ), new cams, a bigger turbo, gas flow heads and a ram air intake. The weight was reduced by some 200kg and it could reach 60mph in 5.5 seconds and a top speed of 160mph. 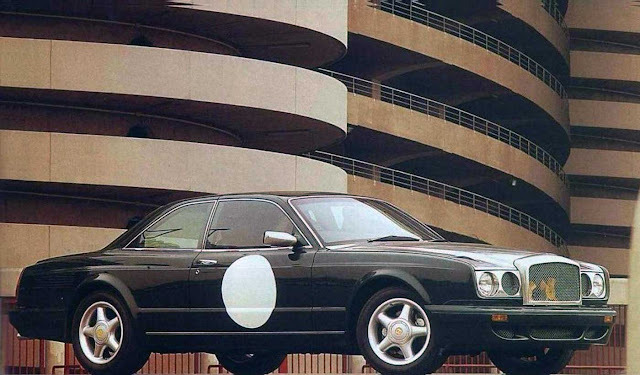 It is currently housed in the storage facility at Bentley Milano, where you can read more about here. Car is here in Bentley Milano!